Just when you think you know where to find a good jazz bar, they begin to crop up in the most unexpected of places. Of course, jazz, by its very nature, is well-suited to breaking boundaries, and it’s certainly no stranger to improvisation. They say that the most skilled jazz musicians will never play a piece exactly the same way twice, so it makes sense that London’s jazz-inspired venues should be keen to follow suit. 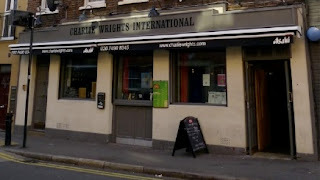 A well kept secret within London’s jazz circles is Streatham. Not an obvious choice, of course, but then the best places rarely are. For some time, it would seem, jazz-lovers have been swapping Soho for Streatham in order to visit The Hideaway, the aptly named jazz bar located almost opposite the station; yet you’ll walk right past it unless you know what you’re looking for. At least, you would have done, until now. 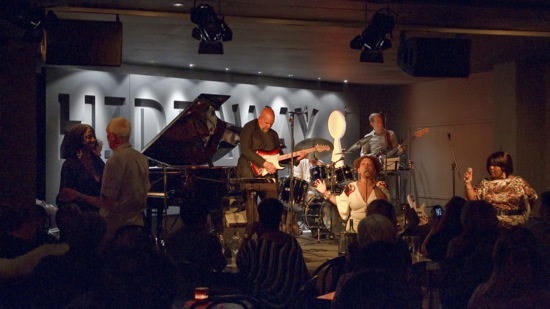 The Hideaway is raising its profile somewhat by opening a jazz cafe and wine bar; a lighter, daytime alternative to the dark and bluesy backrooms of the late night venue. If you’re looking for jazz in odd places, then try having it with breakfast. Although, don’t expect a fry-up with The Best of Miles Davis blaring over the sound system. The Hideaway might be opening a cafe, but they’re doing it in style. Guests can look forward to live music from the piano tucked in the corner, and gourmet foods on the menu. Yes, they’ve toned down the jazz club’s super-sleek black and orange theme, but there’s still an emphasis on quality, and a good deal of effort has gone into creating a relaxed, jazz-inspired vibe. Yet this isn’t the only place you can expect to find great jazz south of the river. 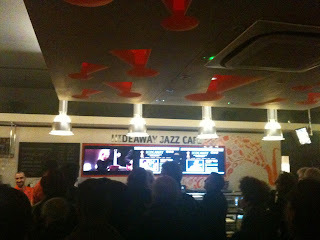 Somewhat surprisingly, Battersea has also become something of a hotspot when it comes to jazz. 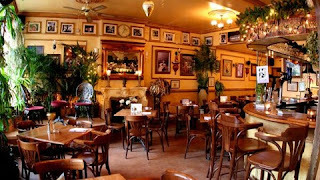 Le QuecumBar & Brasserie keeps it niche by specialising in Gypsy Swing, and aims to recreate 1930s Paris within the walls of this unassuming live music venue. If you’re keen to avoid the pretension which can surround some of London’s more notorious jazz venues, then Le QuecumBar & Brasserie is the perfect alternative, yet their listings often feature a host of renowned names within the world of Gypsy Jazz. What’s more, you can indulge in the nostalgia of games such as chess or backgammon in a venue which truly encompasses the era when this style of music was perhaps at its peak. Whilst jazz might have got bit trendier in recent years, it probably isn’t the first thing you think of when paying a trip to Hoxton. 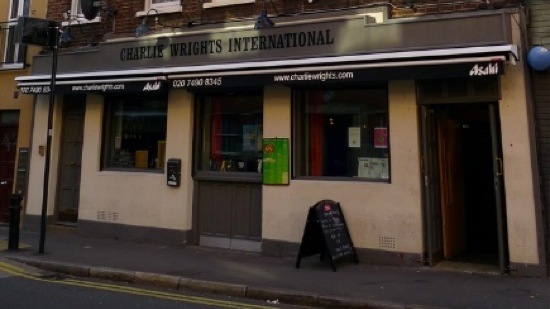 Yet for those who feel little other than dread when faced with a bar packed full of East London hipsters, Charlie Wright’s ‘music lounge’ offers reassurance in the form of live jazz, Thai cuisine, and normal clothing. You might not run into Noel Fielding, but there’s a good chance that you’ll get to hear from the latest cutting-edge jazz musicians way before they ‘get cool’. It is still Hoxton, after all. To me, it has always seemed that one of the oddest places to encounter live jazz is Pizza Express. 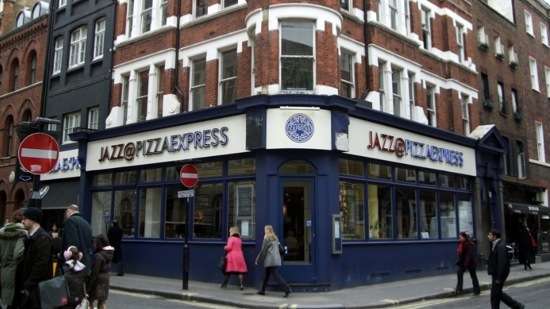 Of course, any old Pizza Express might be prone to sticking a bit of jazz on mid-meal, and you may have come to associate their menu with two-for-one voucher deals rather than fine-dining. However, the Pizza Express Soho branch does things a little differently. You can rarely use your voucher codes there, for a start, but that’s not to say it’s not worth a visit. In fact, if you are planning a trip to the pan-Italian venue, then the Jazz Club in Soho is undoubtedly the one to choose. With some of the biggest names in jazz performing throughout the week, tables at this much smaller and more intimate version of the high-street chain restaurant book up well in advance. It’s an odd place to have achieved such credibility within the world of jazz, but if Amy Winehouse and Jamie Cullum say it’s ok, then it’s probably not too shabby. Images courtesy of Flickr user Ewan-M.
Wow, it looks amazing! 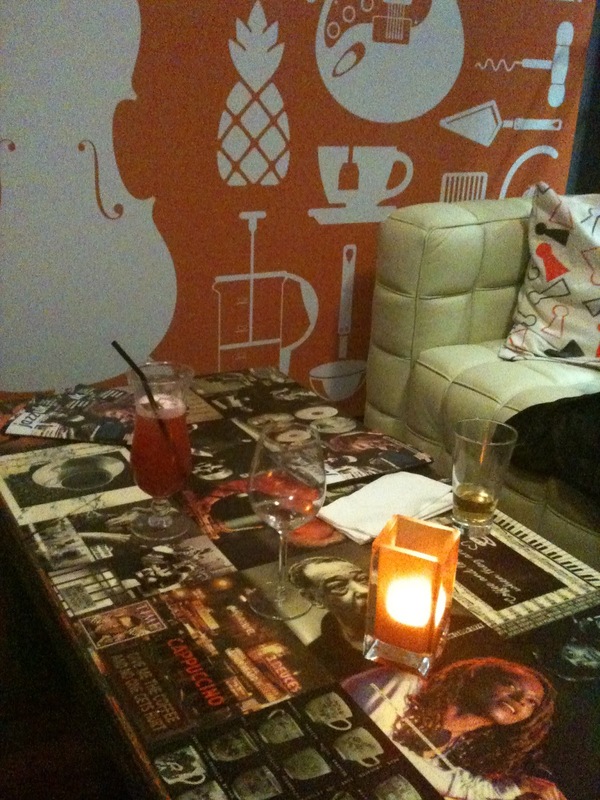 I'm a big fan of jazz and love places like this where you can drink something and listen to the good music. Check out the best upcoming music events in London I'm sure you'll find something cool.